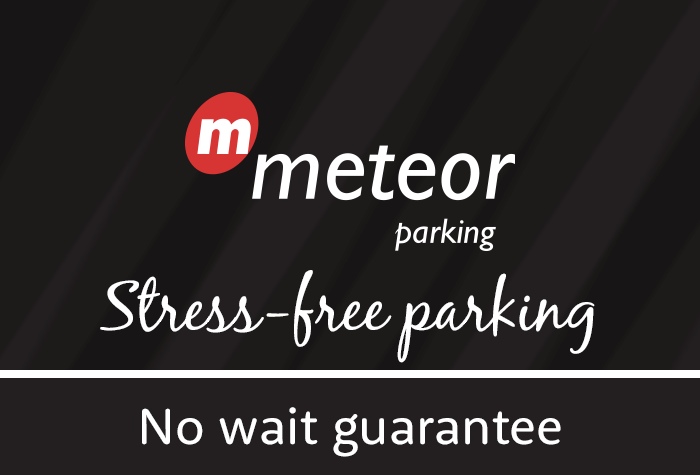 Meteor's Meet and Greet service is the perfect way to park - you'll barely need to park at all! Simply drive to the terminal car park, meet one of Meteor's efficient, experienced drivers who'll take your car off your hands and take it to their award-winning, secured car park. Then, it's just a short walk to check-in to catch your flight and enjoy your holiday! Once you've landed back in the UK, walk back to the terminal car park, where your car will be waiting for you with your driver. All that's left then is to hop in and drive home. No space-hunting and no transfers with this super-convenient Meet and Greet service! If you're looking to save yourself from pre-flight stress, then this is the ideal Heathrow airport parking service for you. - Your car will be dropped off and collected from T4. If you're returning to a different terminal just let the driver know on your arrival and this can be arranged. - Meteor cannot accept vehicles with 8 or more seats. At their discretion, Meteor will give you up until midnight on the date you have booked to collect your car. If you go into the next day you will be charged £20 per day. Thanks to your awareness I was redirected from Terminal 5 to Terminal 3 and caught my plane on time! Super efficient service from Meteor. Arrived, parked and handed over keys without any delay and car was waiting for us in the car park when we returned. Staff were polite, friendly and efficient. Worth paying to use a reputable company for peace of mind. Our customers rated Meteor Meet And Greet on average 9/10 (175 reviews). Read Meteor Meet And Greet reviews.